KUCHING: Opposition politicians in Sarawak are up in arms over a circular said to come from the state government prohibiting community leaders from attending programmes and events organised by the federal government now controlled by Pakatan Harapan (PH). 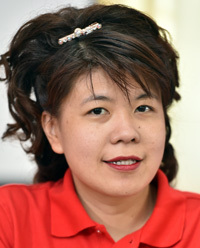 DAP Sarawak organising secretary Violet Yong said such circular does not reflect the spirit of a government that is elected through democratic practices. Be it the GPS state government or PH-led federal government, the lawmakers were elected by the people, she pointed out. As for the community leaders, she said they are the intermediary between the people and the government, as they had been identified by their respective communities. “By issuing such a circular, the state is denying and taking away the rights and freedom of these community leaders and putting them in a difficult situation,” she told reporters here yesterday. She expressed disappointment that there was still no mutual respect from the Sarawak government to the PH-federal government despite GPS claiming they are PH-friendly. Yong, who is Pending assemblywoman, also reminded the state government that they should not treat the state’s coffers as their own personal fund since the money for paying the community leaders comes from the taxpayers. “Many of these community leaders are doing their best in carrying out their duties by overlooking the political divide, when they attend functions or programmes organised by the state or federal government, so that they keep themselves abreast with government programmes and policies which they can later disseminate to others. “However, such a directive would only hamper the community leaders from effectively carrying out their duties. The circular would create division, hatred, dislike and bring a boycott-type of trend that should be stopped,” she said, adding the state government should cancel such circular. The said circular, dated Oct 11, 2018, purportedly carries the signature of the State Secretary. While it has been circulating over social media of late, the state government has not issued a statement to confirm or counter it. Many state leaders, when contacted, refused to comment on the matter. Only Assistant Minister of Local Government Datu Dr Penguang Manggil was reported to have confirmed the authenticity of the circular. Meanwhile, Dayak National Congress (DNC) president Paul Raja said the rural communities will lose out if their leaders are banned from attending PH ministers’ programmes. He pointed out that this is because community leaders would normally submit requests for development projects to the federal ministers and PH MPs during such occasions, while at the same time the federal ministers would interact with the rural communities and listen to their grouses. Parti Bansa Dayak Sarawak Baru (PBDSB) president Cobbold John Lusoi also said that the GPS government was childish in issuing such circular. He wondered why the state government would want to stop community leaders from meeting PH ministers who are on official duties in Sarawak, when the state ministers themselves have paid courtesy calls on Prime Minister Tun Dr Mahathir Mohamad and other PH ministers to ask for more development to be allocated to Sarawak.